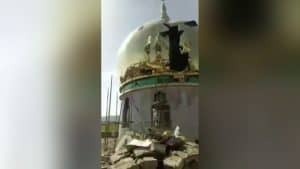 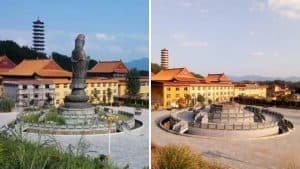 Since the new Regulations on Religious Affairs came into force on February 1, 2018, the Chinese Communist Party (CCP) has intensified the persecution of religious beliefs by seizing and demolishing churches and arresting and incarcerating believers of all faiths. 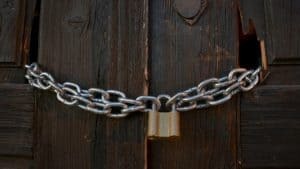 Quite often, seeking to intimidate believers and the general public, the crackdowns are carried in a meticulously organized manner attacking a few churches at once. 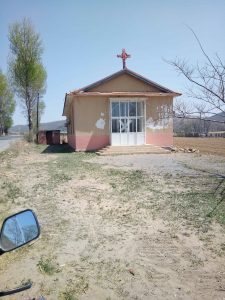 On March 12, the CCP police seized the Xiaotian Church in a village of Pulandian district of Dalian and collected identity information of all who were present at the church. 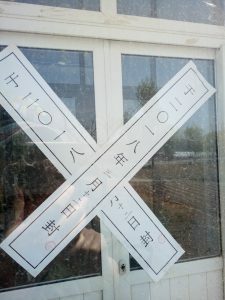 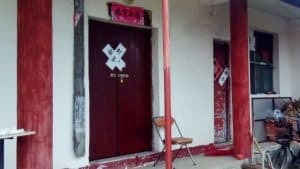 After the church has been sealed off, some elderly believers broke the seal and got inside to have a meeting, but the police replaced the seal again. 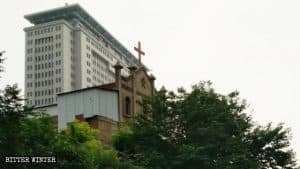 This church, belonging to the officially sanctioned Protestant Three-Self Church, established over 30 years ago, was the fifth that day to be closed by authorities in this southern district of Liaoning Province. 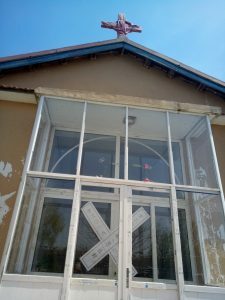 In addition to Xiaotian Church, more churches were seized and closed down in Liaoning Province: in the afternoon of February 17, a church in Lashan village, Wafangdian city, a county-level city under the administration of Dalian; in early April, the subordinate meeting places of the city’s Tianjia Three-Self Church; in mid-March, the Nanshan Three-Self Church in village of Cuijiayao, Pikou town, Pulandian district. 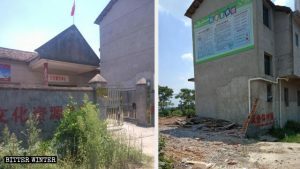 Xiaotian Church of a village of Pulandian District closed down.